Aniko’s mission is to use the universal language of football to promote health and social inclusion for displaced people. Through our various football projects, we provide an outlet for people to come together, to get active, learn new skills and become part of a team. The benefits of connecting people through football are multiple: it promotes bonding and social inclusion, teamwork, discipline, stress and trauma relief, and trust-building. 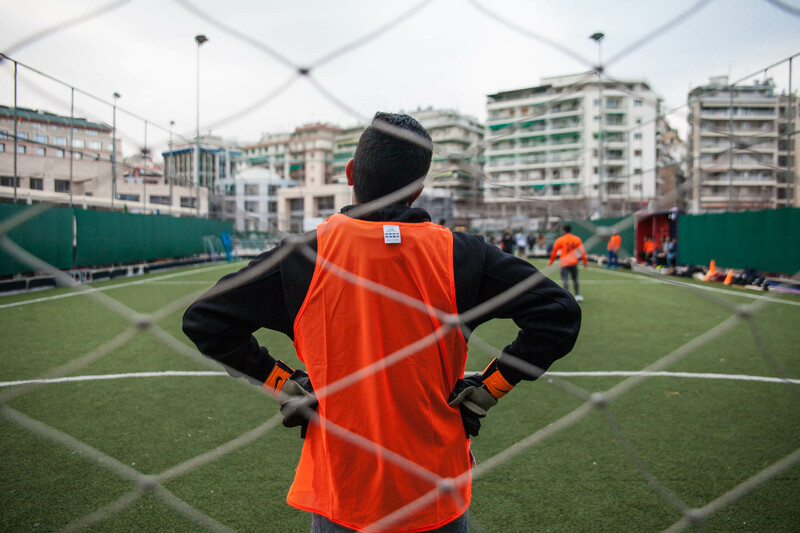 We provide regular football training sessions and community events in the city of Thessaloniki, Greece for people of all ages, genders and abilities. In doing so we aim to develop a bridge with local communities, provide a level of psycho-social support for displaced people and reintroduce physical activity. The first four months of our project in late 2017 saw us grow exponentially, developing partnerships with Terre des Hommes and the Norwegian Refugee Council. Since our inception we have delivered over 110 hours of football, reaching over 300 people through our projects. Moving forward, we aim to expand the projects that we offer to connect football fans, both on and off the pitch.